I've gone crazy the last few weeks, putting apples in to caramelize with my onions and garlic. Man, it is so good! 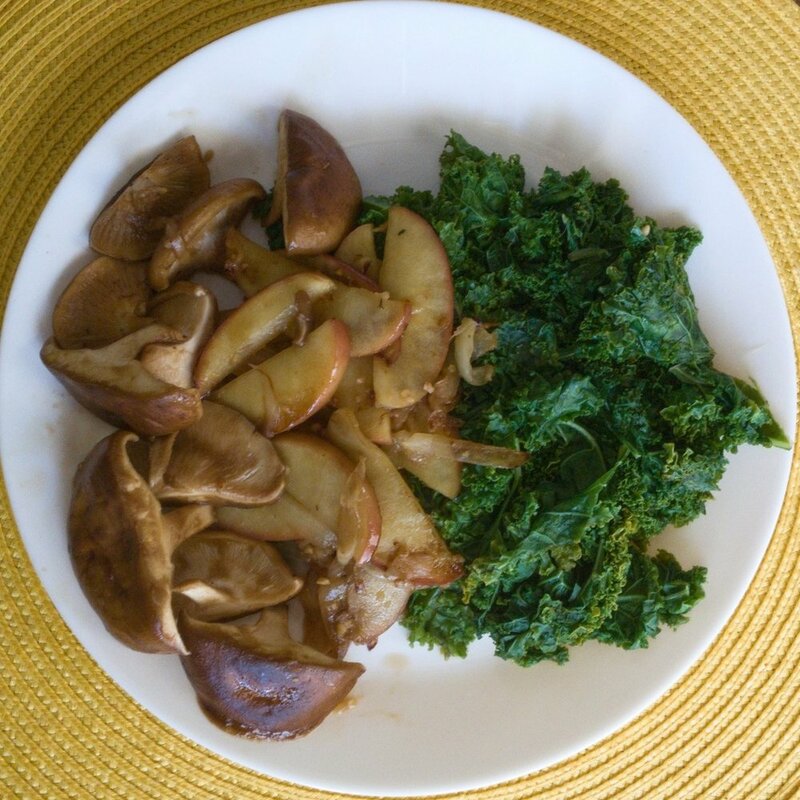 The apples add a touch of sweetness to any dish, along with vitamins of course! I even added them to my sloppy joes! If you are up for a delicious adventure, grab these 6 ingredients and make yourself some dinner! Begin by stripping the leaves off of the kale stems, washing, and spinning them to dry. Slice onions, apples, mushrooms, and garlic. Quickly steam your kale with a bit of water or veggie broth and put it on your plate. Sautee onions, apples, and garlic until tender. Put these with your kale. Sautee mushrooms with balsamic vinegar until tender, about 2 minutes.